Your home in Vernon Rockville is exposed to a wide array of weather conditions on a daily basis. Sun, rain, wind, and snow can all eventually lead to wear and tear that can weaken your home’s structural integrity. 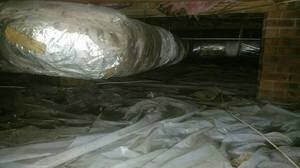 One of the problems that can occur due to this is a roof leak. Whenever this occurs, count on the water damage Vernon Rockville team from 911 Restoration Connecticut to take on that leak for you. Our experts will be providing you with immediate water damage repair and restoration because we know how urgent those leaks need to be patched up. Count on us to be there within 45 minutes of your call so we can get to work as soon as possible. Our immediate response will help in avoiding any further complications like mold growth and wood rot. To be able to provide the highest level of water damage repair and restoration, our water damage Vernon Rockville specialists are IICRC certified. This means we’re trained and fully equipped to handle all kinds of issues like roof leaks, flooding, sewage spills, and pipe bursts. With over three decades worth of experience, we know how to take on all your water damage emergencies. We work with only your absolute satisfaction in mind. Whenever you’re looking for a fresh start, you can always rely on the water damage Vernon Rockville team from 911 Restoration. Flooding within your home is a major problem that is going to take a lot of work to completely clear; heavy rainfall and pipe bursts are some of the causes. What can make matters worse is that flooding can occur almost unexpectedly. Fortunately, water damage Vernon Rockville pros from 911 Restoration are available 24/7 to take care of water disasters for you. When large amounts of water get into your home, it’s going to take the right equipment to get the job done. Our experts will make use of advanced drying technology which will include pumps, vacuums, and infrared cameras. With these tools at our disposal, we can locate hidden moisture spots around your home and extract them. By thoroughly getting rid of water and moisture, we can reduce the chances of fungal infestations of setting in. Our water damage Vernon Rockville team will conduct complete solutions that will ensure that any water damaged sections of your home are restored to look good as new. We will conduct a free inspection and estimate of your property which will allow us to offer you best solutions at the most affordable price. Through our repairs and restorations, you can expect your home to get a fresh start. 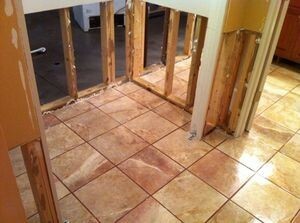 Whenever you need water damage taken care of, call 911 Restoration right away!